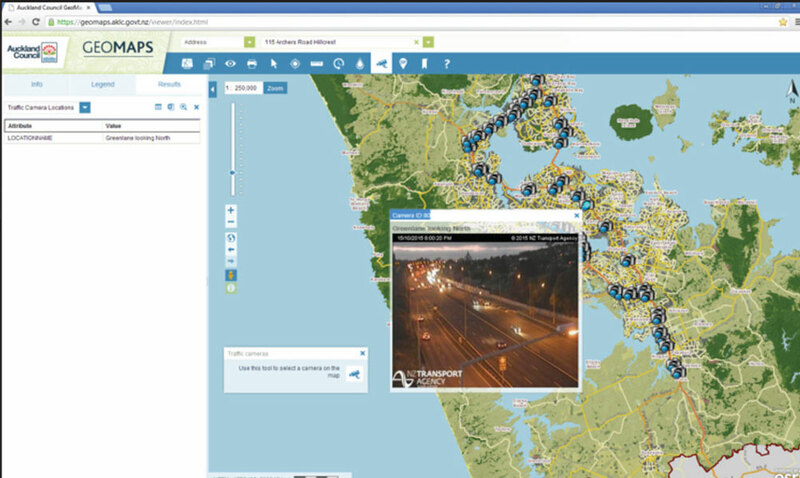 Auckland Council (AC) engaged Geographic Business Solutions (GBS) to create a replacement Geospatial Web Viewer that replicated all functionality in the existing legacy council Geospatial Viewers. The Auckland region amalgamated from eight local authorities into one. Consequently this was a very complex project in terms of the solution architecture, development and implementation and in the overall project management, which required a high degree of attention to detail. GBS has been proud to be associated with this long-term and large-scale project. AC had been running multiple Geospatial Viewers internally since the amalgamation of 8 local authorities in November 2010. These legacy Viewers differed in functionality, platform and architecture. Reducing costs and increasing efficiency were the key objectives. The fundamental driver for developing the new GeoMaps solution was to enable AC to retire all of their existing legacy Viewers, and replace them with one centralised solution. Ian Smith (AC), Tony Elson (GBS) & Michael Gin (AC) with Esri’s SAG award. Esri Special Achievement Award in GIS (SAG) 2015. 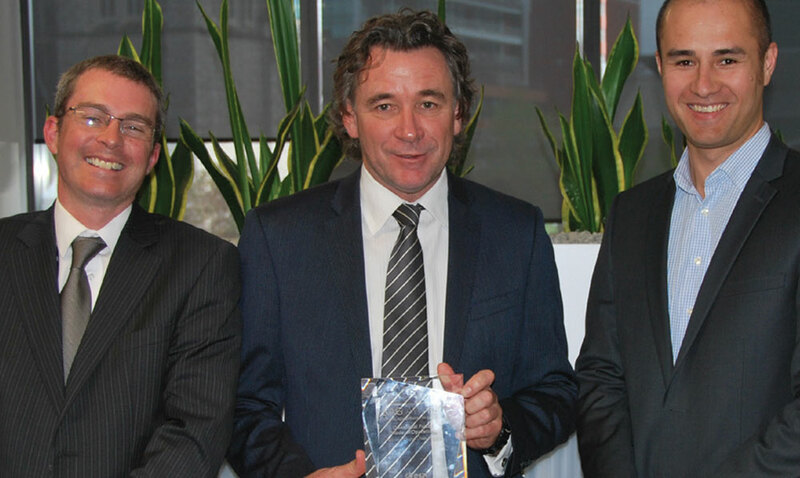 PMI’s NZ Public Sector Project of the Year in recognition of the management and governance of the GFMO project. GBS had a major involvement in terms of solution delivery and project management. The original plan was to develop one complete solution that contained all legacy functionality and data, and then release it to Production. Instead a phased approach was used. AC’s critical requirements were identified, and ring fenced as Phase 1 in order to document, develop and deliver. This approach allowed for development and delivery of the confirmed critical requirements to commence, whilst giving AC time to define their outstanding requirements more fully. Consequently, the development of the complex integration points with the legacy systems were deferred, as there were delays within these other business units. Although this replacement Viewer was meant to be like-forlike, AC wanted to take advantage of some of the new Esri advancements and benefits. GBS incorporated scope changes that took advantage of the new advancements without an impact on cost. For scope changes that did have a budget impact, these were routed through the formal Change Request (CR) process. Given the volume of CRs over the project and as the remaining budget contingency was stretched, GBS implemented a preapproval process. This gave AC information as to the effort required, based on a very brief scope, so that CRs that were not high priority and/or were going to be costly, could be rejected early. As this project spanned a period of more than 18 months, resourcing consistency was an issue for both GBS and AC. Ten different GBS staff worked on this project throughout its duration, but staff were transitioned in and out of the project without a negative impact on AC’s timeline or budget. We accomplished this by staggering our GBS staff switches, and ensuring that these were based on like-for-like roles within the project itself. Portal for ArcGIS (Portal) – Geospatial content management, map and application publishing (using Out of the Box and custom web mapping templates). 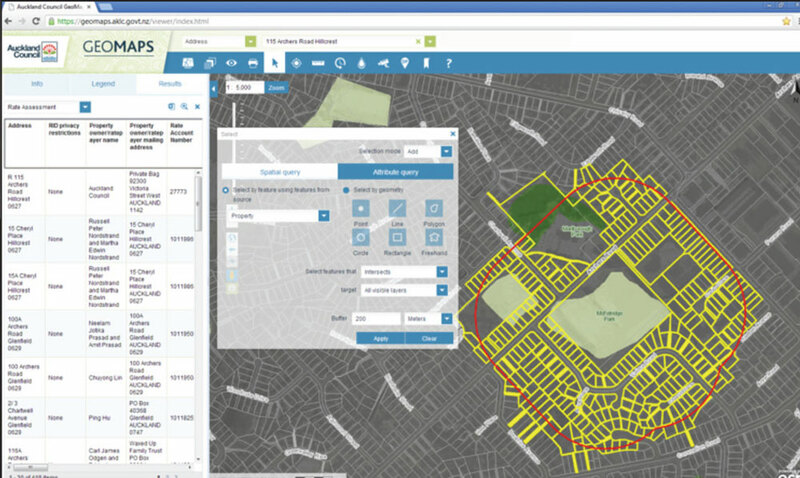 ArcGIS for Server – managing and serving the Council geospatial data. The Template supports development and use of discreet tools that can be used to interact with the Map. These tools can be independently configured and added to or removed from the Template as required. The Template can be applied to any Web Map and configured with any number of available map tools, i.e. a single Foundational Template can be used to provision a number of different Geospatial Web Viewers, to both internal and external audiences. The Template design is fully customisable, which means that it can be styled and branded to any Council specification and can be customised via a simple User Interface that allows the author to choose what tools are available in the resultant Web Viewer. The Template supports single sign-on and leverages Web Maps and Geospatial services delivered by ArcGIS Portal and federated with ArcGIS Server. This means that any security restrictions on data are automatically enforced within the Web Viewer. – Can be easily updated and extended with new functionality without affecting Portal. If development is required on the template due to new requirements (such as additional tools), the template can modified and deployed without any reinstallation or updates to the other ESRI components. – Does not hinder any future upgrade paths or maintenance of Portal. In addition to meeting the key project objective, the following key benefits have been realised. The primary benefit of GeoMaps is the flexibility of the technical solution. AC’s initial requirement was for GBS to provide one centralised monolithic Viewer. This solution has since been used by the AC Geospatial Team to create, publish and share targeted applications. AC has been able to do this as the Solution Architecture utilises Portal for ArcGIS (Portal) which enables more configuration. AC Administrators can publish targeted / tailored applications that are fit-for-purpose and assist their users with the decision-making that is of importance to them. This solution is also extensible in a unique way that many other custom-built solutions are not. Given that GeoMaps utilises Portal, should AC have a need to add in a completely new custom standalone widget, the code for this new tool can be developed, delivered and tested in isolation and does not need full regression testing of the entire solution. The same applies for any changes that are made to the functionality of an existing widget. Moving forward, the base framework of this solution is going to be used to replace AC’s existing external Geospatial Viewer.